Business companies with the same product in a competitive market will always try to capture their customer in a unique way. Different companies use different methods to achieve this goal through prices, discounts and others. However, they may forget to print their logo on their product and customize the logo on other promotional items. For this reason, Regina Signs Company is friendly to interested parties who intend to customize their business name or generate a new logo/sign in their products, gifts and other items. The selection of the logo is exclusively 100% unique at an affordable price. A variety of samples are provided to the client with consultation from experts to avoid confusion. Every branding company dealing with various products may intend to expose their commodities and reach a number of customers. To meet the standards, the company should establish a top quality company logo for their products. We know that promotional products will always convince the customer to buy the actual product. The company will try its best to reach your requirement standards through evaluation of the size of the logo and appearance, the colour which will fit the theme of the manufacturer and the range of equipment used during the printing process. To achieve the best branding name, our clients are allowed to select sign types which are more comfortable. Promotional product signage is done on each item selected. Never mind about the texture of material used because we can print on any type of surface from, metal plates, plastics, wooden surfaces as well as glass surface. Each material requires different amount of colour thus signage duration depends on either material. A standard logo is printed to capture a high number of customers and promoting your sales higher and higher. For instance, if you decide to give away water bottles under your logo, it is very simple to take a large number of bottles at once. The equipment used will enhance the graphics of the logo adding more attractive colour and high quality font used for lettering. The supply of your promotional products may not be enough to promote your business; hence Regina Signs Company opts to print more items that are necessary to expose the business. There might be need to include more info apart from the logo alone like your address and your company contacts. Through consultation with the experts, the team might select items like pens, umbrellas, small travelling package bags, holders, capes and hard cotton t-shirts. These are varieties that will help your business to be more popular but for small businesses we recommend to use only a few as the cost might be higher. Graphic signage is fully digitalized to make the logo more fascinating, executive and elegant. The business name is well calibrated and smartly fit to expose the business in a unique way. Contact info is very essential as customers who may not reach the business place but only one call can complete their enquiry. You’ve most likely seen these products before. They can be umbrellas, coffee mugs, t-shirts, crossbody bags, tumblers or eco totes showcasing a company’s logo. They are promotional products used to increase brand awareness and to create a positive company image. The question is, are they really helpful? Is spending money on promotional products really beneficial for your business? Yes, they are! In fact, this might be one of the best business decisions you will make. If you are in a niche where there’s a lot of competition, it’s easier to get your name out there, especially if you are the newbie company, if you disseminate promo items. Strategically-designed mugs or t-shirts with your logo on it can instantly make your brand a lot more recognizable. Brand awareness is something all business owners pursue so if you can include advertising strategies that will speed this up, you definitely should try them. There’s something about free items that develop a positive bond between two parties. 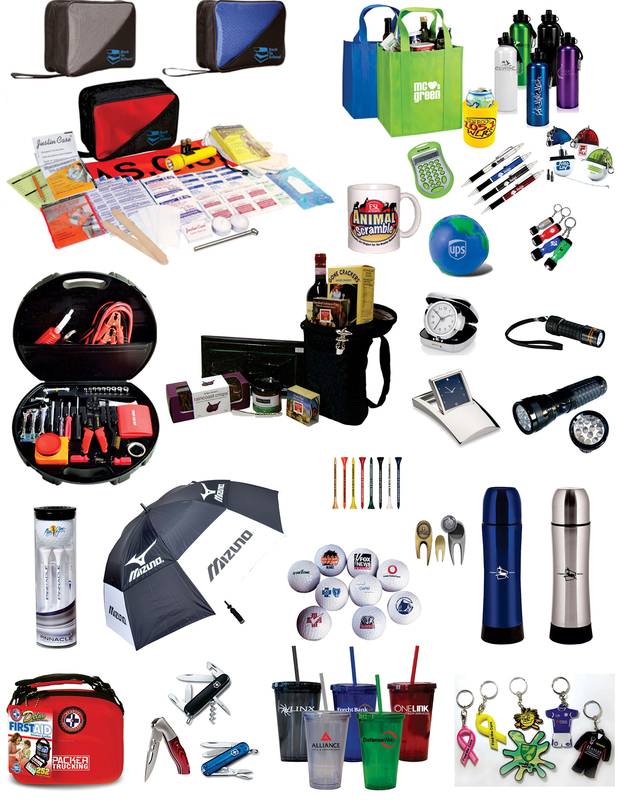 By disseminating promotional products for free, you are winning your client’s favor. Flattering them through freebies will also make it easier for you to make product suggestions or to get their interest and introduce what your business is really all about. According to studies, business promotional products are even more likely to earn you loyal customers or those customers who will want to come back to your store over and over again. You can include freebies for every purchase or disseminate them during fairs or expos. These free items are actually long-lasting methods of advertising. Every time that client uses that free mug, for instance, your company shows up. And when more people see that item, like a free shirt worn by a client, the more people will know about your brand. What’s even better is that this method of advertising eventually pays for itself. You might have some misgivings about using promo items because of the initial cost. While you will have to think about allotting a budget for your free stuff, you will get your money back in the long run. If you are on a tight budget, you would want to think about the best kind of product relevant to your business that your customers will love. This gives more value to your allotted budget. The usual methods of advertising can be boring. People are so used to print, TV or billboard ads by now that most of them are overlooked. But when you use these promo items, you would attract the curiosity of people. They will pause and check out what you have to offer. This method of advertising also encourages consumer-business owner interaction. Don’t just print company logo on that cheap grocery bag. You also need to strategize and think which promotional products will work and how you will incorporate them in your business. First, find a good sign company that also creates promo items. The longer they have been in this business, the better because they will help you formulate a good marketing graphic to print on your promo products. Before printing, you will first come up with an eye-catching design. Include company information as well such as business address, phone number, e-mail and social media accounts. Discuss what type of product is good. It should fit your budget and your potential demographic. It should also be products that people will want to use over and over again. Come up with a good product design and color. The signage company will help you out with that. Think about how you will disseminate the products. Will you give them for free during expos or fairs? Will you only offer free products after they purchased? It’s always a good idea to add promotional products to your advertising scheme. Use this opportunity to partner with a sign company that can create some of the most stellar promotional freebies for your company’s needs without busting the bank.